1295 - 2395 Sq. 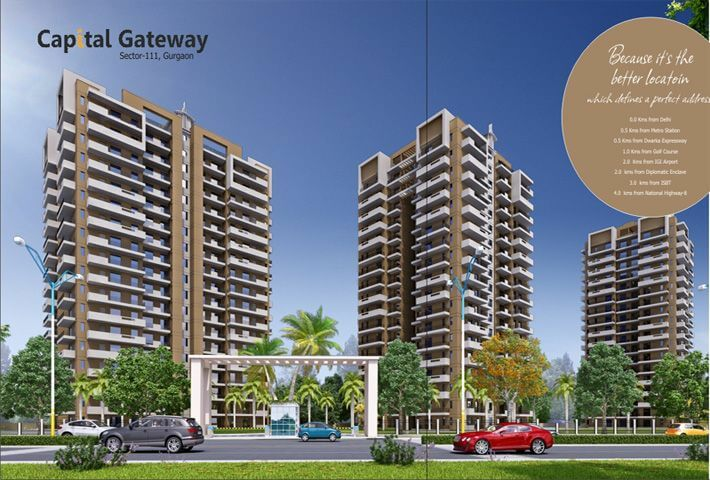 Ft.
Introduction: Capital Gateway which is set among tranquil environ is a perfectly executed residential project. Location: The project site is located in Sector 111 of Gurgaon. It comes under Gurgaons the suburban area of Dwarka Expressway. Accessible from the sub city of Dwarka, this emerging corridor is close to both domestic and the international airport. It lies in close proximity of Puri Diplomatic Greens- Phase I, Tashee Capital Gateway and Kashish Manor One. 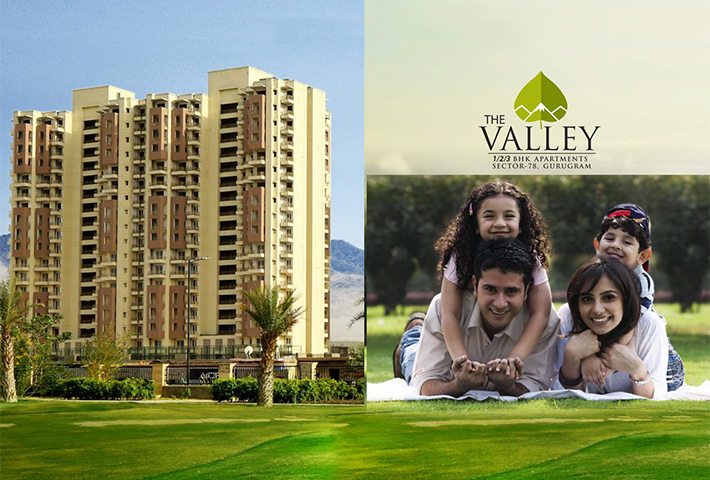 Available units: Prospective buyers can avail several options due to the presence of 2BHK, 3BHK and 4BHK apartment. Sizes of these vary from 1295 square feet to 2395 square feet respectively. This project offers a lucrative payment plan. Interior Specifications: Aesthetic interiors of this project draw attention of your guests and leave them astounded. One can enjoy views of rear gardens, lush green lawns and manicured landscapes from wide-covered balconies adjoining living room and bedrooms of apartments offered here for sale. Fully-fitted modular kitchen has designer cupboards where you can store goods. Laminated wooden flooring in bedrooms will make these cozy in winters while designer flooring in living room will make your home look more elegant. Projects floor plan provides optimized floor space index. Download Capital Gateway brochure from Favista for detailed information. Amenities: Amenities offered at Capital Gateway include various options to enjoy life to the fullest. For instance swimming pool and gym. Security is not a problem here for various hi-tech security measures have been used. RCC framed structure ensure safety from natural calamities. Developer: Capital Gateway is offered by Tashee Group. Prime projects by the developer in same city include Tashee Capital Gateway. Current Status: Under construction. Walk-through videos are also provided for some selected projects. Favista keeps interested buyers/investors updated on construction status, current price, user reviews. Possession Date: The Project is expected to be completed by 2015-12-01. After grand successful projects in Sector-106 & Sector-68, Tashee Group another new Upcoming project Capital Gateway in Sector-111, Dwarka Expressway Gurgaon, Tashee is located in fully developed area, A Golf course is also being developed by the DDA along with an Appu Ghar along the Mehrauli-Najafgarh road, just 4 km form IGI Airport. Tashee offers 2, 3 & 4 bedroom apartments with best of the amenities. All of these together make Tashee a truly restful complex to live in.